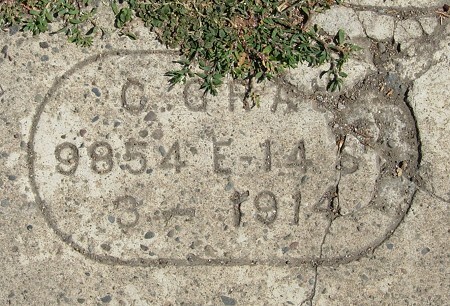 Each corner of 92nd between Bancroft and International has this mark. 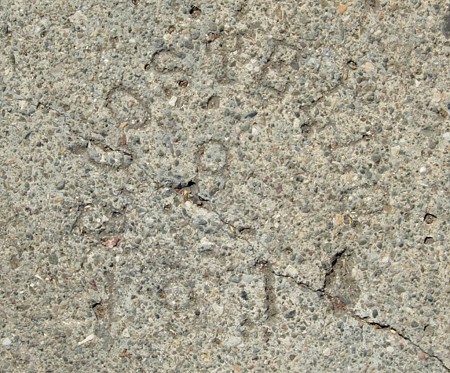 This is on the very next sidewalk panel by yesterday’s 1914 G. Costello mark. 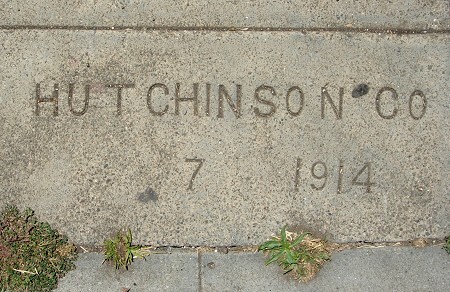 I have a single other example by this maker, also from 1914. This strike includes (presumably) the month and day underneath it. 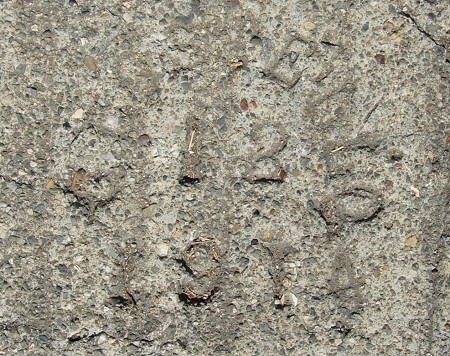 This was laid down just a few weeks after the mark I showed yesterday. 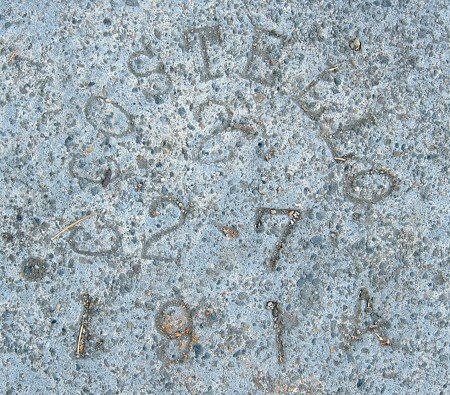 As is my longtime practice, I record every mark that’s 100 years old. 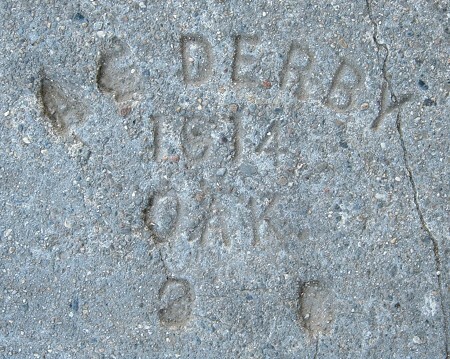 More ancient pavement from old Elmhurst. 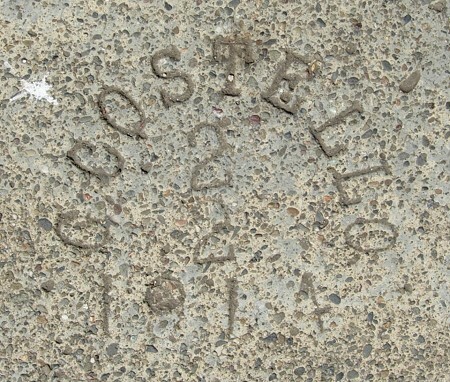 This takes G. Costello back another year, and look at this, he put the month and day inside.